Dereck Chisora 29-9 (21) believes Oleksandr Usyk 16-0 (12) will be a danger at heavyweight but says he is willing to test himself against the former cruiserweight king. Chisora will first have to get past Senad Gashi of Germany who he will face at London’s O2 Arena on April 20. Usyk is set to make his heavyweight debut against Carlos Takam next month. “Usyk will be a nightmare for everybody,” Chisora told SSN. “The moment he puts his weight on, he will be a nightmare. He has the punching power and the boxing skills, his movement will kill most heavyweights. When questioned about facing the undefeated Ukrainian southpaw himself, Chisora offered a blunt reply. “Is he holding hand luggage or a massive suitcase of money? 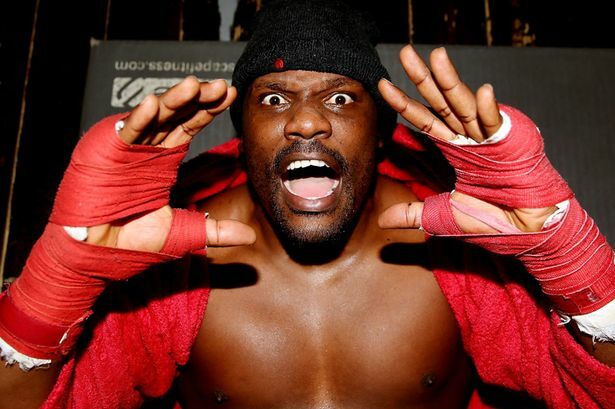 I love fighting – whoever wants it can have it,” Chisora said. “We do the deal, we sign, we get ready for it, we fight. (Joseph) Parker or I might go to watch Usyk – I don’t mind having some of that. Chisora also opened up about his change of trainers from Don Charles to Dave Coldwell. “I like Don but it was time for a change,” said Chisora. “In the Takam fight, he (Coldwell) was on the other side and I could hear him shouting instructions, and Tony (Bellew) told me it was a good move. “He is making my feet move fast, everything move faster. I am feeling great benefits and everything is working out great.